Attractive heiress, Joanna Feniton, has been betrothed to the Honourable Algernon Cholcombe, a wealthy nobleman, since childhood. With the threat of an invasion by Napoleon on this Devonshire coastline everyone must have their wits about them. And with spies and smugglers terrorising the county, no one is safe. As Joanna learns more about her mysterious suitor, she also realises there is a French spy amongst her acquaintance. Who can she trust? And who should she confide in? What will happen if Napoleon succeeds in attacking the English coast…? 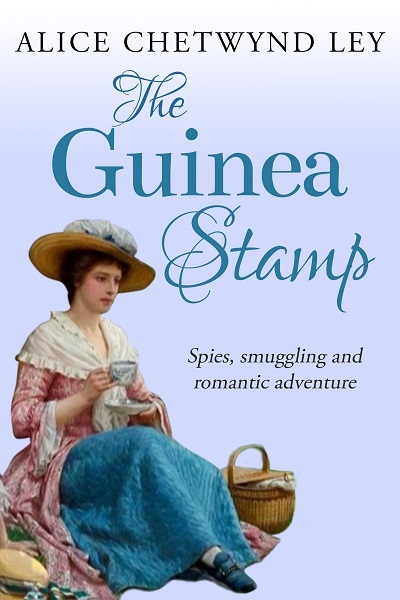 The Guinea Stamp is a thrilling romantic adventure story by Alice Chetwynd Ley, set in the Napoleonic era.